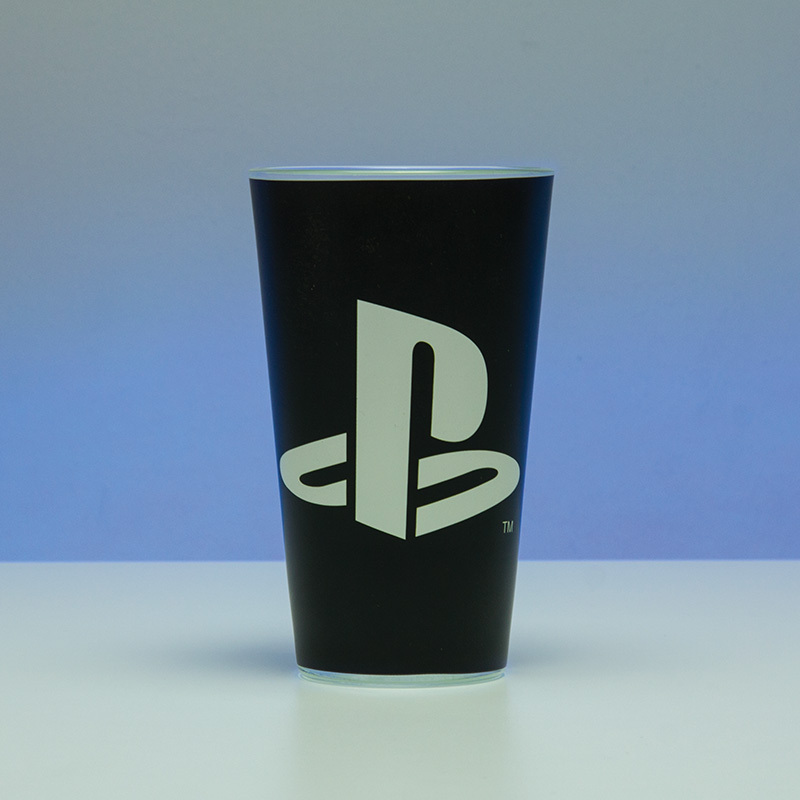 Stay refreshed when gaming with this gaming themed PlayStation Glass. 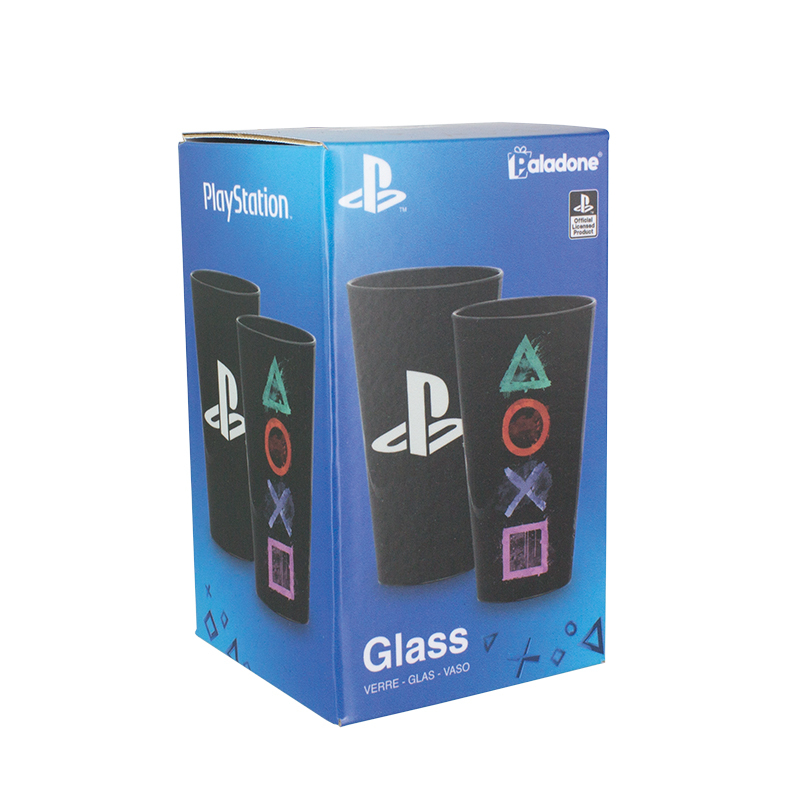 Inspired by one of the most popular video game consoles ever created, this 400ml (approx 14oz) drinking glass is the perfect toast to a legendary console and the ideal way to stay hydrated during marathon gaming sessions. 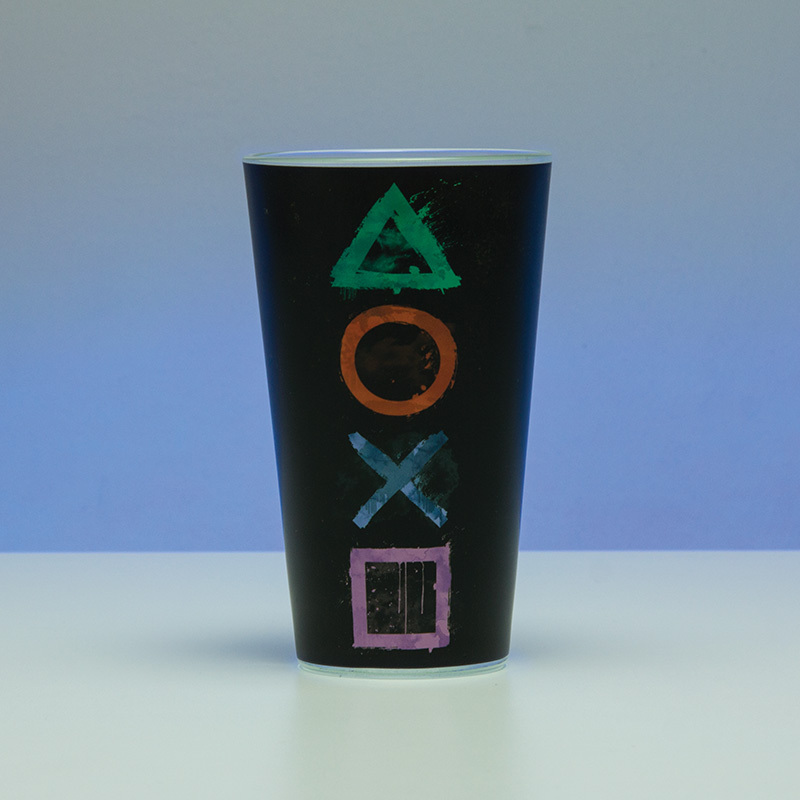 Stay refreshed when gaming with this gaming themed PlayStation Glass. 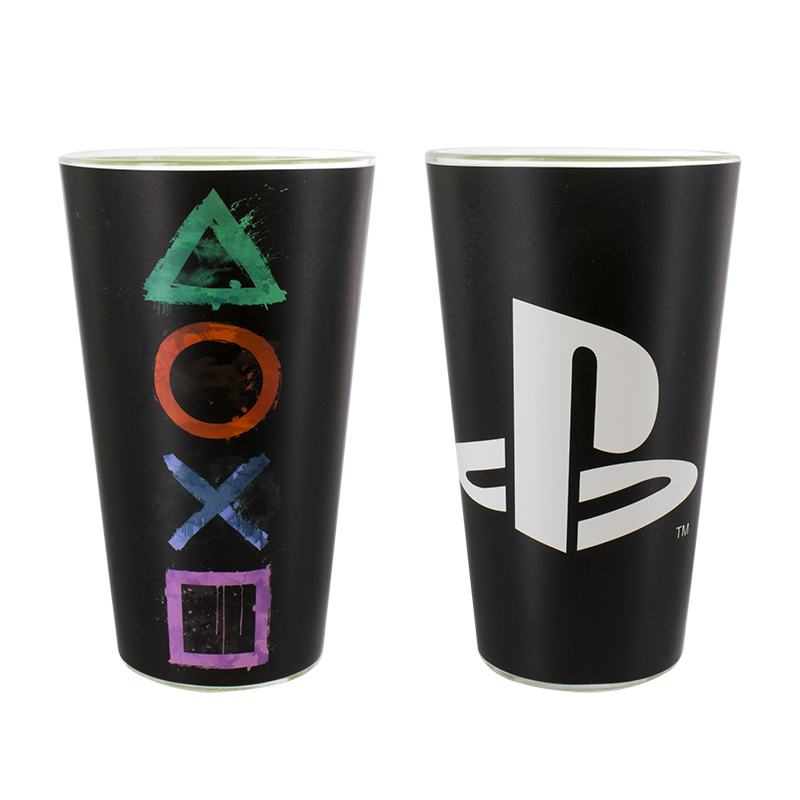 Inspired by one of the most popular video game consoles ever created, this 400ml (approx 14oz) drinking glass – featuring the iconic PlayStation logo and controller symbols – is the perfect toast to a legendary console and the ideal way to stay hydrated during marathon gaming sessions. The first gaming console to ever ship 100 million units, the original PlayStation was launched by Japan based electronics company Sony in 1994, rapidly becoming one of the best known gaming brands in the world. With successive consoles building on that original unprecedented success (including the best-selling console of all time, the PlayStation 2), the iconic image, name and logos of the Sony brand are instantly recognizable with gamers of all ages. The PlayStation controller, with its distinctive shape and iconic button symbols of a green triangle, blue x, red circle and pink square, are now virtually synonymous with console gaming in general. A great gift for gamers of all ages, the PlayStation Glass is an officially licensed product.